View More In Pistol Cases - Page 4. 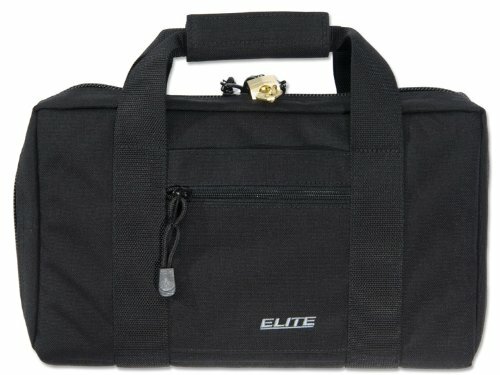 The Elite Deluxe Pistol Case is a lockable case that is a perfect carry companion. Constructed of 1000 denier nylon. Heavy-duty, locking zippers and padlock. Two internal gun compartments with padded dividers. Center compartment with loops for spare magazines. If you have any questions about this product by Elite Survival, contact us by completing and submitting the form below. If you are looking for a specif part number, please include it with your message.